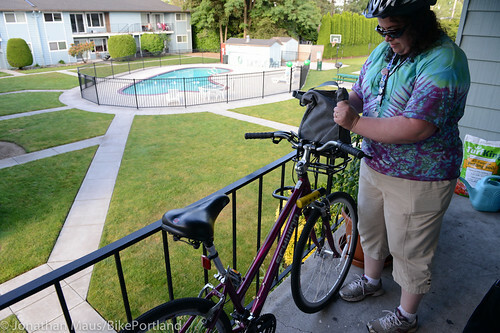 From June 9 – 13, 2014, the BikePortland team (all two of us) set up shop in east Portland. Our goal was to learn more about riding conditions east of I-205 and share our findings with you. We wanted to shine a light on this part of Portland that isn’t seen or heard from nearly enough. 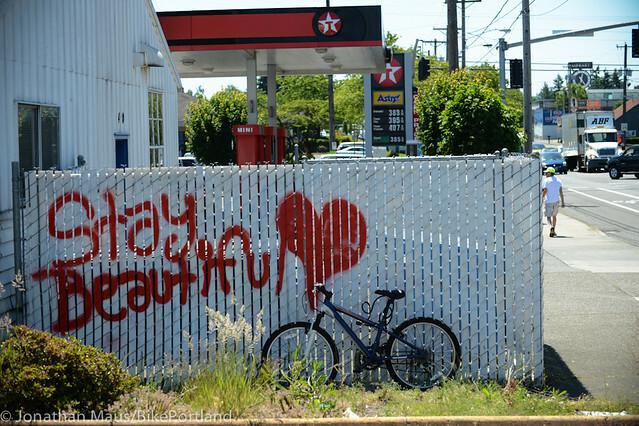 See all our special coverage below, and don’t miss the 152 images in our East Portland Week photo gallery. 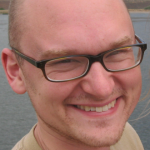 Brandon Fite, manager of the The Outer Rim. 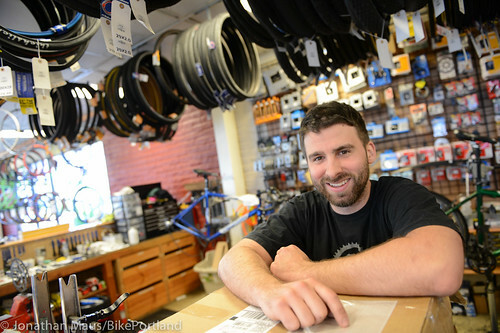 Unlike in neighborhoods that ring Portland’s central city, where it sometimes feels like there’s a bike shop around every corner, there are very few bike shops east of I-205. In fact, there are only two. 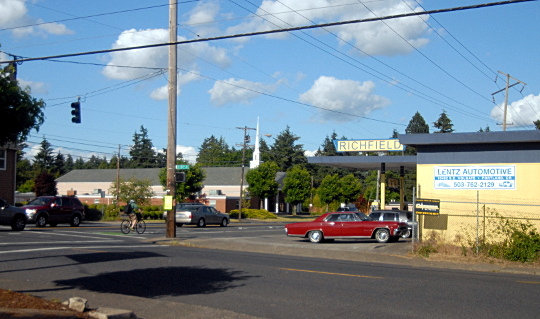 This post is part of our special, week-long focus on east Portland. 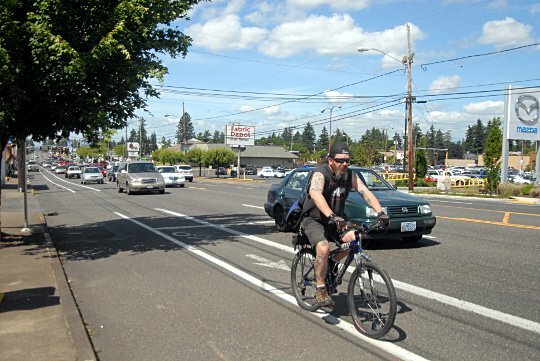 It was one of the boulders that broke Portland’s bike wave: a redesign of SE Holgate Street that converted one mixed traffic lane in each direction to a huge buffered bike lane between I-205 and 122nd Avenue. from SE 82nd & Division to downtown Portland. 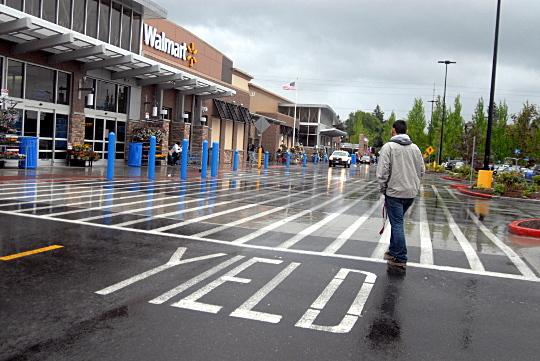 Maybe we should hire Walmart parking lot engineers to design our streets. 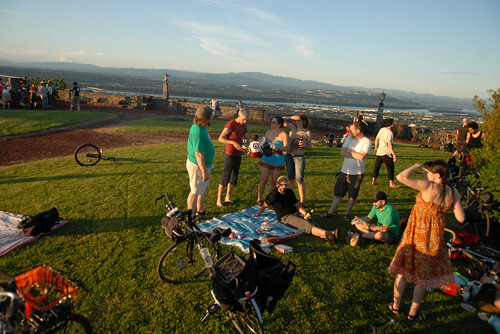 This post is part of our special focus on east Portland this week. When people talk about using “traffic calming” to design a “commercial greenway” — like the one proposed for NE 28th Avenue — it sometimes comes off as a strange, experimental sort of magic that we’d probably have to visit Europe to understand. But we don’t. Most Portlanders — most Americans — walk or drive through areas that are models of safely shared space almost every day of our lives. But we don’t call them greenways or woonerfs or home zones. We call them parking lots. 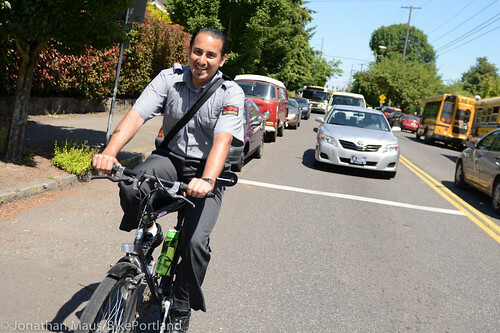 From barflies to neighborhood officials, most east Portlanders seem to agree on the highest-priority biking improvement for east Portland: a few really good neighborhood greenways. Consensus has benefits. The 130s Greenway is scheduled to be built next fall, and the 100s and 150s greenways are in the works. 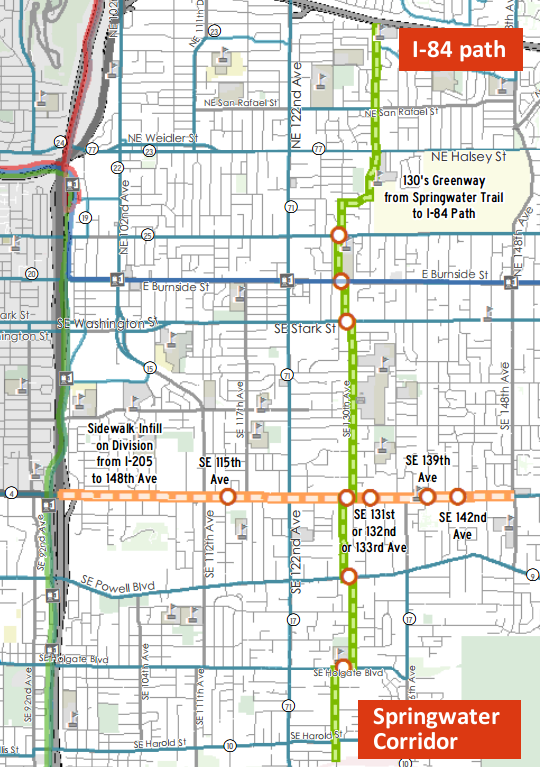 The East Portland Access to Transit project, including the 130s Greenway and sidewalk improvements along Division Street. Employee parking at Texaco, SE 122nd and Stark. 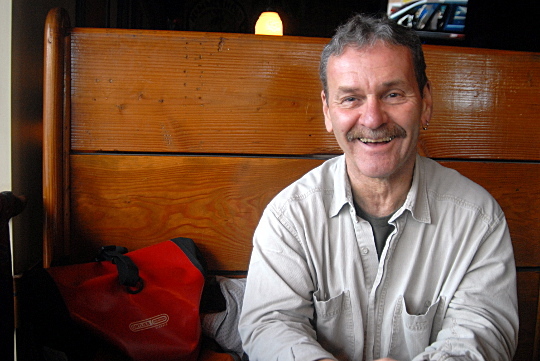 In yesterday’s Monday Roundup, we linked to the most comprehensive listing I’ve seen of privileges that many people who start biking enjoy. But one item on its list is more complicated and interesting than it might seem: geographic privilege.